So, I went to my first Britmums Live conference - for those who don't know what it is, just think of a massive wine-fuelled two day event about blogging (and everything connected with it) for parenting bloggers in UK. I've even heard of people coming in from abroad for the conference, so clearly it is a big deal with parenting bloggers here. I wasn't 100% sure if I would go after the first blogging conference I attended. Not that there was anything particularly horrible about my first blogging conference, it just wasn't as amazing or social as I thought. However, after reading tons and tons of stories about Britmums and hearing how people thought it was the place to be I figured why not. The tickets weren't expensive and if I hated it, I only lived a few tube zones away. As the day approached I got a bit more apprehensive. We are just renovating our first home and time is in short supply at the moment to say the least. Because of the time pressure I didn't attend quite all of the conference, and had to miss out on some of the sessions I wanted to attend to. But in the end I am glad I went to it - overall it was an OK experience and I think I got something out of it. Deliciously Ella keynote - I bought her book recently and it was nice hearing her speak about her blogging journey. I haven't actually ever read her blog, but I like her book (I am a bit of a cooking book fanatic - sadly not a cooking fanatic my husband would say). Loads of brands - As I had to miss out on so many sessions because of time pressures I figured I'd atleast try to speak to all the brands there. Had some nice conversations, pushed my spanking business cards to everyone and signed up for loads of stuff. 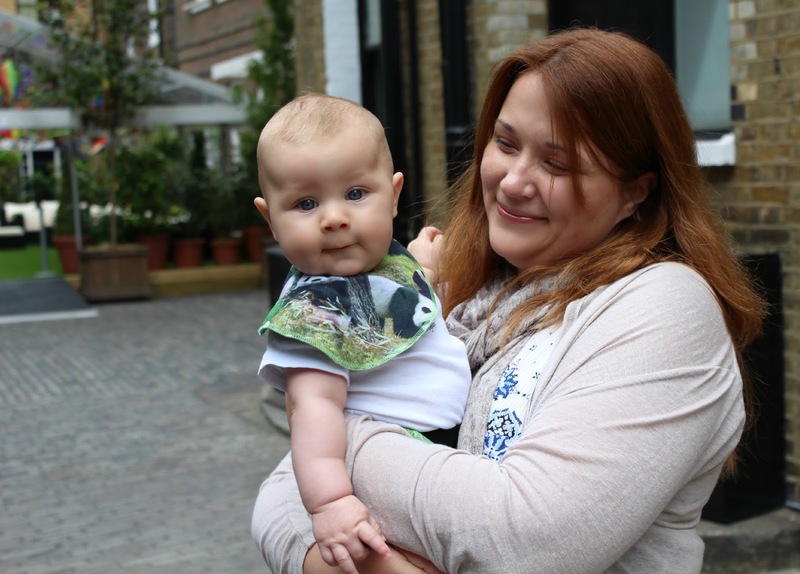 Chatting to brands and PR - After Britmums I have had a lot more PR contacts than before. Go figure, coincidence perhaps? Or then not. Craft corner - I learned how to knit. OK, I knew how to knit before as well, but I badly needed a re-freshener. Beating a Guinness World Record - yes, that is right. I am officially now a part of a group holding the current World Record on wrapping most people as toilet paper mummies in three minutes. As silly as it sounds it is true. "We are the champions, we are the champions... "
I found it really difficult to find the sessions - the signposting was a bit weird and non-existent at some points. Some of the sessions were clearly set in wrong rooms - pitching session and photo styling sessions had people sitting on the floor. Surely a bigger room could be found for stuff that is likely to have big crowd interest? I didn't get to go to all the sessions I wanted to - OK, that was my problem and due to my time scheduling difficulties. Meeting naff people - Maybe it is just me but if I go to conferences (and I do as part of my real full-time job) I go there to network and socialise. I try my damnest to be approachable and positive and chatty to everyone. From some people at Britmums Live I just felt an instant naffiness, and a sort of a cold front. OK, I am not trying to be your BFF here, but you can atleast try and feign interest for a bit, maybe? Or then in the future when I do bump into your blog all I can think of is that this one was the naff one from BML, probably not that great of a blog either. Maybe I am looking at it wrong then and maybe going to a blogging conference is about talking to people you know, and looking at your computer/phone/the wall. I get it, people can be shy, so am I, but there is shyness and then there is "shyness". How was your Britmums Live? Sori kun kommentoin suomeksi aina... heh, mutta siis tuohon vikaan kohtaan on ihan pakko kommentoida, sillä arvaa jos siellä oli vähän nyrpeällä asenteella porukkaa ni arvaa kun olin täällä PingHelsingissä... osa porukasta oli ihan oikeella asenteella mut sit osa oli kyllä niin jäykkänä etten ollut uskoa todeksi... jäi vähän ristiriitainen fiilis. Ei se mitään, ymmärrän kyllä kun ollaan kummatkin suomalaisia :) Joo Suomessakin siis osataan :) Joo en mä kyl tajua miksi lähteä konferenssiin jos haluaa vain jutella kavereittensa kanssa - halvemmalla pääsisi jos menis vaan istumaan lähipubiin? I didn't even look for a sponsorship - it isn't too bad for me as I live in London so there are no added travel or accommodation costs. Overall people were really nice, I was just a bit surprised by some (as I am used to a completely different type of conference goers...). If you do go in the future I am sure you will have fun, these naff people were in the minority! If you have a chance to go in the future I'd still recommend it - overall it was a good experience an I think you do learn a lot and if you think of brand contact the conference is brilliant! Glad you had a good time and it was good for you in a social sense. Likewise I thought many of the sessions weren't groundbreaking for myself, even if it can be nice to hear peoples own experiences and anecdotes.